The Black Panther has a lot on his shoulders. He has to find the guy who caused the death of his father. He has to keep his country's powers secret while doing what he can to keep crime down in the countries around him. While we wouldn't want all of the Black Panther's responsibility, it would be nice to walk into the room like we've got a millennium-old legacy on our hands. You don't need the cat-suit to gain a little of T'Challa's power. 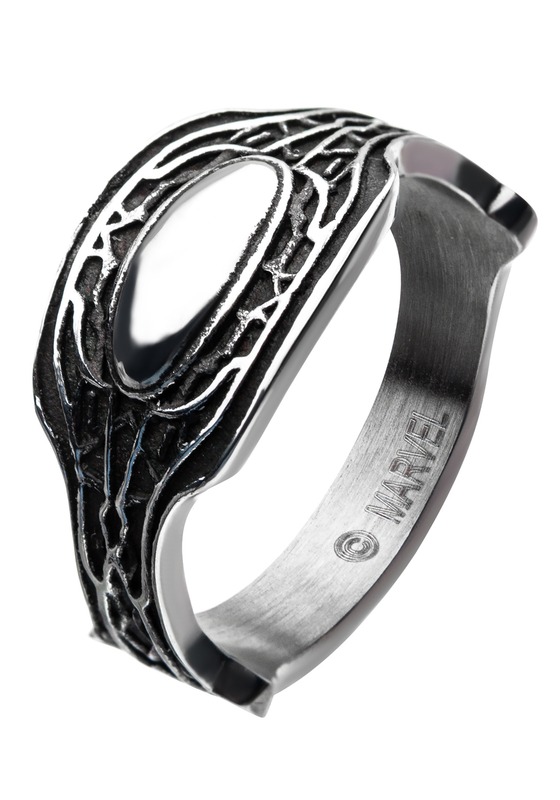 Slip on some Black Panther confidence with this fully-licensed ring. 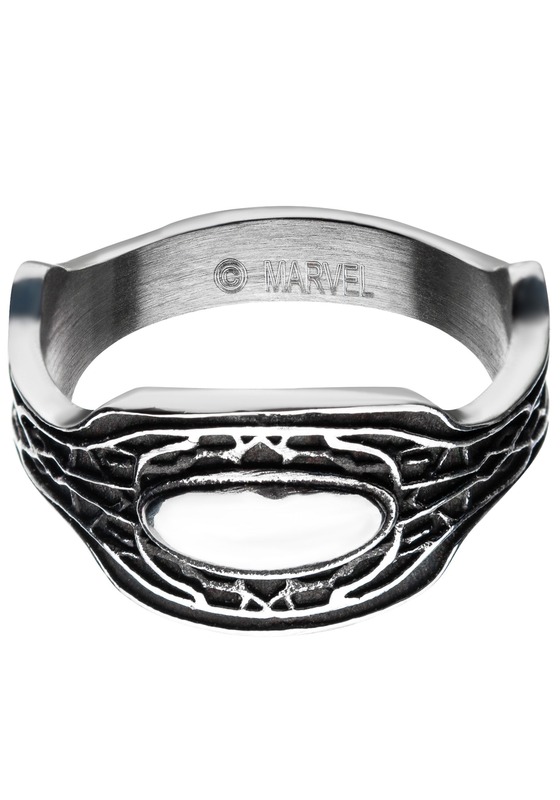 This molded steel ring is designed after the one seen worn by the Black Panther. Licensed by Marvel, you'll be ready to head out with the confidence of Wakanda's king without worrying about keeping track of your Vibranium suit. As we all know, though, saving the world has never been a walk in the park. And Black Panther is one of the only heroes who's both a countries leader as well as a superhero. Those are both full-time jobs. Talk about pressure. When times get tough, we're sure it helps give T'Challa hope when he looks at the Black Panther ring that's been handed down through the generations. We all have those challenges we need to face. Why not accessorize with something that helps us feel more powerful?